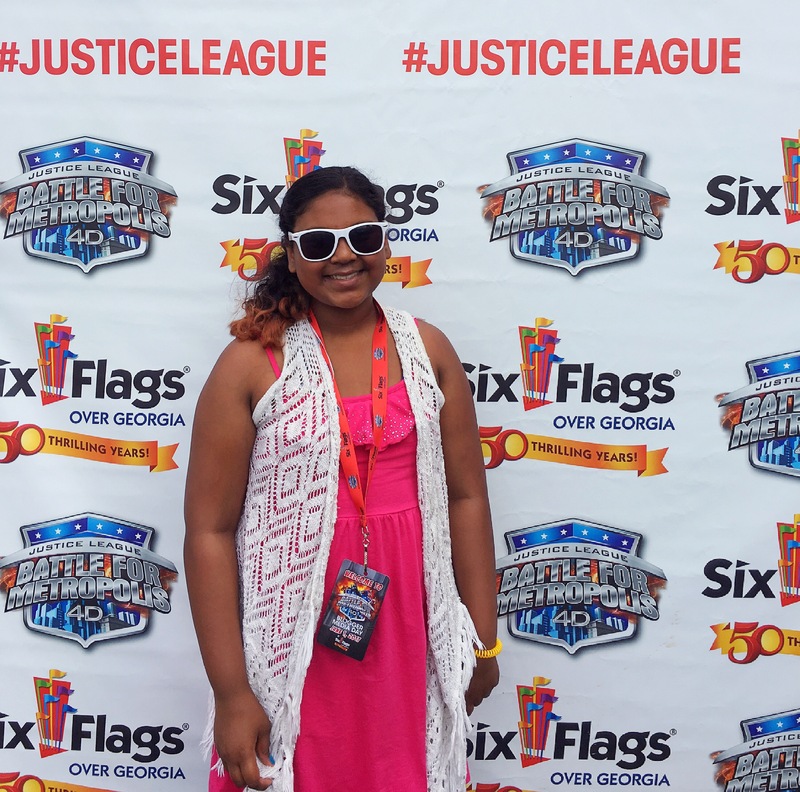 It seems to have become a tradition of ours to kick off Summer vacation with a trip to Six Flags over Georgia. Over the past few years, it’s been THE first attraction we visit after school closes. There’s so much to do that you never get bored, but it also helps that they consistently debut new rides. Can you believe the park is celebrating 50 years! We’ve been going for 8 of those years. 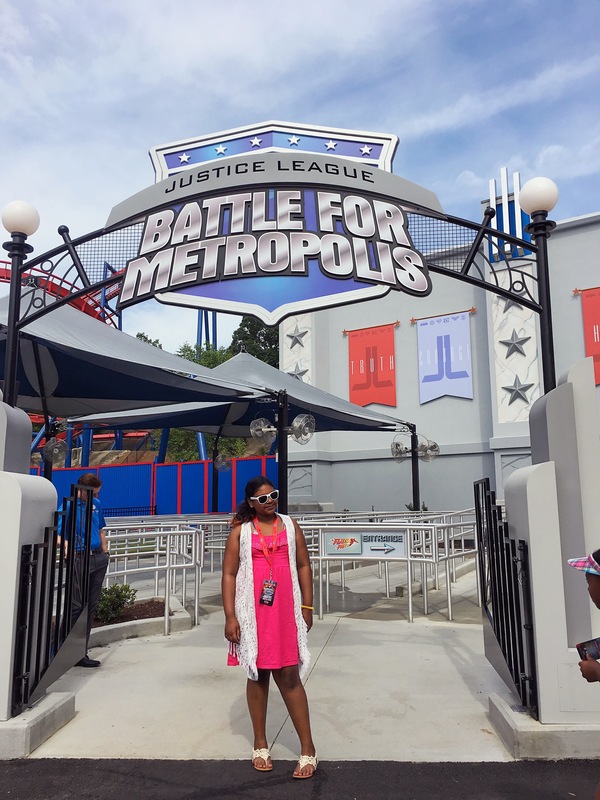 This year, 2017, they debuted a new 4D ride, JUSTICE LEAGUE: Battle For Metropolis. I was invited to a media day at Six Flags over Georgia to review this ride. The ride is housed in a massive, air-conditioned 22,000 square foot building “The Hall of Justice” and features Batman, Superman, Wonder Woman, the Flash and Green Lantern battling against Lex Luther, the Joker and their henchmen. I have to say this is great timing on their part because the number one movie out right now is Wonder Woman. And the movie “Justice League” is set to be released this November. 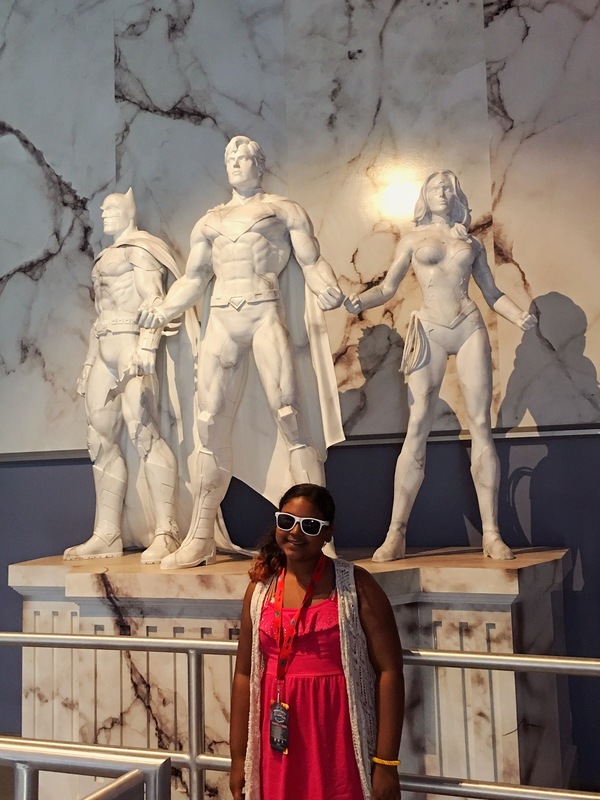 If you or someone you know is a fan of DC Comics, Six Flags is the place to be! For this ride, guests must be 42″ to ride with an adult, or 48″ minimum to ride alone. The car holds 6 people at once, with 3 in the first row, and 3 in the second row. After waiting in a Que, you are seated in a car and given 3D glasses. The seat bars lower for your safety. 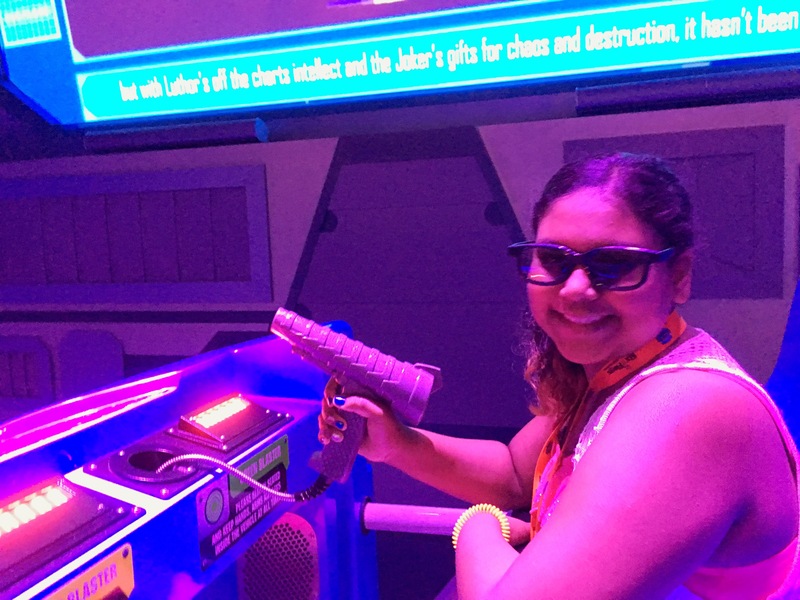 You’re instructed to use the blaster guns attached to the car to shoot the bad guys, and help fight along with the Justice League. You’re each given a score, depending on how many bad guys you shoot. It’s fun to note your score, see who in your party scored best, and try to beat your score the next time you come. There’s also a photo snapped during the ride, so if you become an expert on where that happens, you can do fun poses! As you can see… we didn’t know where it was. JUSTICE LEAGUE: Battle For Metropolis is a really fast-paced ride/game with non-stop action, as the JUSTICE LEAGUE Reserve Team travels through laughing gas and flames in 11 high-intensity scenes. You also experience wind, fire, mist and fog effects, plus life-like animatronic characters. The high definition 3D animation fully immerses riders inside the city of Metropolis. This ride has one of the first-ever virtual loops, giving riders the feeling of going head-over-heels. It’s so much fun, you’ll definitely want to ride more than once! 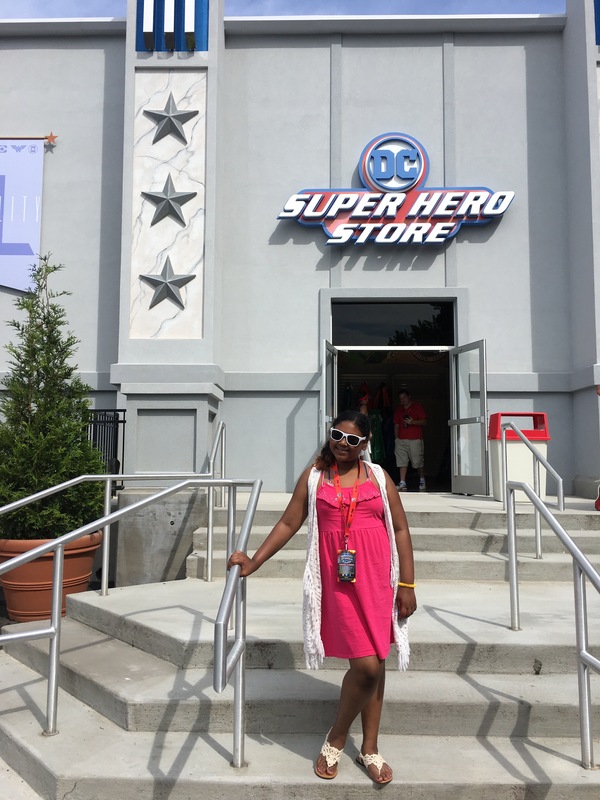 Following the adventure, you can also access an exclusive line of Justice League merchandise at the JUSTICE LEAGUE: Battle for Metropolis retail store, the DC Superhero Store. 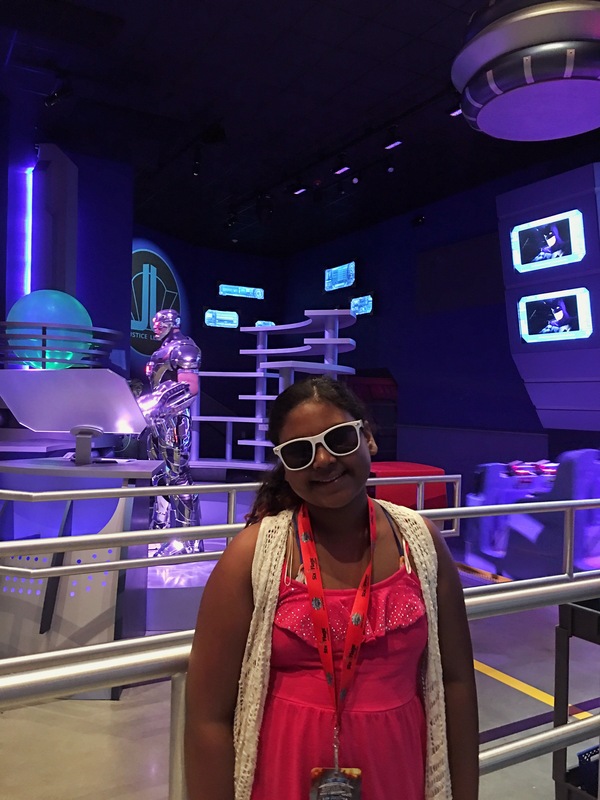 If you have little ones, check out DC Super Friends for more DC Comics’ related rides, such as Superman Tower of Power, The Batcopters, The Joker Funhouse Coaster, and Wonder Woman Flight School. And if you’re looking for more thrills, check out Batman: The Ride, Superman: Ultimate Flight, The Joker Chaos Coaster, Harley Quinn Spinsanity, and Gotham City Crime Wave. 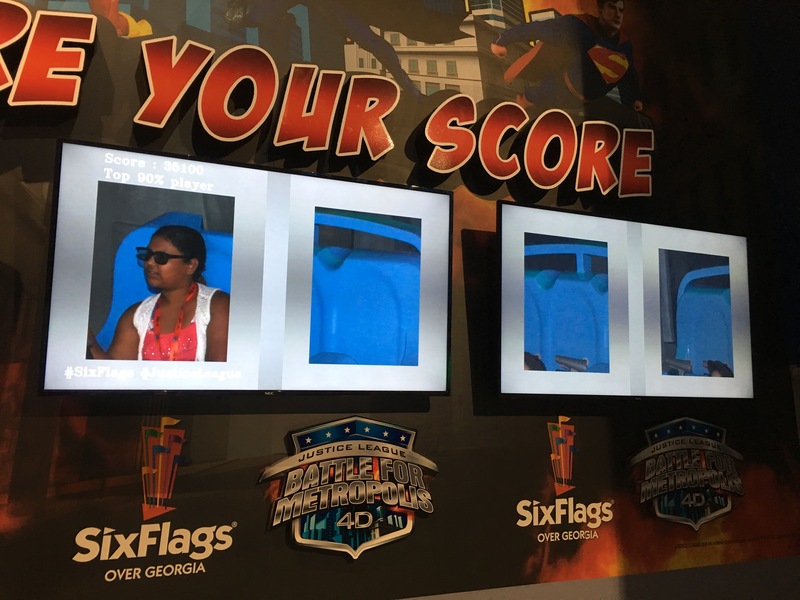 Visit https://www.sixflags.com/overgeorgia for more info.